We analyze in this paper how various forms of state intervention can impact microfinance institutions’ lending behavior. Using a simple model where entrepreneurs receive individual uncollateralized loans, we show that, not surprisingly, state intervention through the loan guarantee increases the number of entrepreneurs receiving a loan. 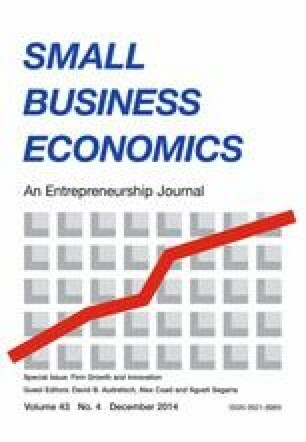 However, after modeling business development services (BDS) provided by the microfinance institution, we show that the loan guarantee can have a counterproductive effect by reducing the number of entrepreneurs benefiting from such services. We therefore analyze an alternative policy: BDS subsidization. We show that if BDS are efficient enough and are targeted toward less performing borrowers, then—for fixed government expenditures—such subsidies do better in terms of financial inclusion than the loan guarantee. Moreover, we argue that—under similar conditions—BDS subsidization alone does better in terms of financial inclusion than a mix of policies. The paper also benefited from discussions at the 62nd Annual Meeting of the French Economic Association (Aix-en-Provence, 2013), the Second European Research Conference on Microfinance (Groningen, 2011) and GREQAM Lunch Seminar at Aix-Marseille School of Economics (Marseille, 2010). The authors thank Martha Alatriste, Mohamed Belhaj, Katarzyna Cieslik, Dominique Henriet, Marek Hudon, Robert Lensink, Patrick Pintus, Ariane Szafarz, Tanguy Van Ypersele, the associate editor and two anonymous referees for valuable comments and constructive suggestions.